Sushi-Pro would like to wish you all a very Happy New Year. We are looking forward to another great year ahead and continued deliveries of THE BEST Sushi and Vietnamese Rolls again in 2012. To start the year off, Sushi-Pro has moved to bigger (and better) premises in Burleigh Heads with state of the art commercial kitchens and facilities for our growing team. We have also expanded our runs to include Northern NSW and we will continue to service caterers, schools, Universities, Hospital etc in Ipswich, Toowoomba, Brisbane and the Gold Coast with the freshest sushi daily. 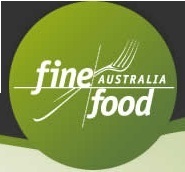 Sushi - Pro would like to extend an invitation to you to visit our stand at the Fine Foods Australia trade show from 11 - 13th March at the Brisbane Convention and Exhibition Centre and / or the Queensland Association of School Tuck shops trade show on the 10th March 2012 at the same venue. We would love to meet new and existing customers and will have some FRESH sushi for you to sample. Visit us to go in the draw to win a $300 gift voucher. 'LIKE' US ON FACEBOOK COMPETITION. Visit our Sushi-Pro Facebook page for a chance to win a medium sushi platter for your next function or party. Everyone that "Likes" US before 30 March 2012 will go into the draw. Sushi-Pro are happy to provide samples of our products for you to taste the superior quality products and see the superior packaging & labelling. All our products are made FRESH daily and delivered chilled below the 4 degree minimum standard. 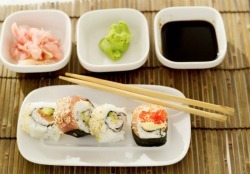 Contact Sushi- Pro to arrange your FREE samples today!